Old Hollywood still exists, but you have to look for it. While researching Hairpins and Dead Ends, I spent a lot of time in the rat race that is Los Angeles 2017 trying to understand what it was like in, say, 1912 or 1926. As a biographer, it is important for me to visit the homes and graves of those actresses I write about. It helps me to better understand my subjects. What follows are some of the addresses where the actresses lived, loved and died. I have been to most of these places and I want to share them with you. If you’re in the Los Angeles area, visit these for yourself. Arm yourself with a trusty map or GPS and a copy of Hairpins and Dead Ends. If not, the addresses and photographs take you on a personal tour through old Hollywood, where Hairpins and Dead Ends takes place. We’re on the Hollywood Freeway heading south. Take the next exit, Highland Avenue. That puts you in the heart of Hollywood. Have fun! Note: The addresses are in the Los Angeles area, unless otherwise noted. Alma Rubens escaped from her home on N. Wilton when she was being committed to a sanitarium. She fled down N. Wilton and up Hollywood Blvd toward Van Ness. Her tragic death made front page news in the city she had adopted as her own. 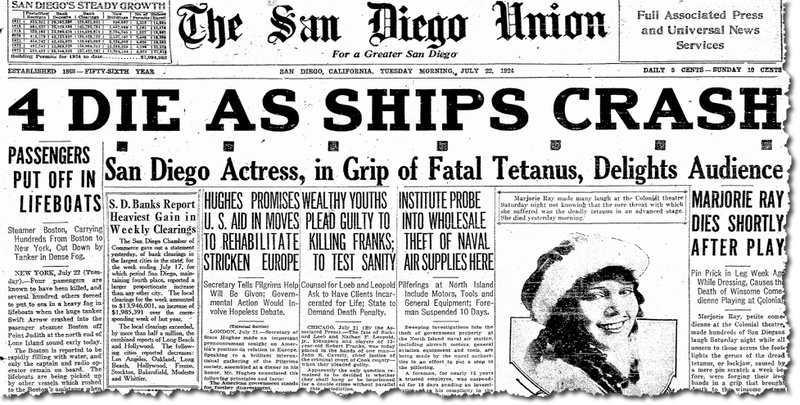 San Diego Actress: in Grip of Fatal Tetanus, Delights Audience, the headlines read. One prick and her life was essentially finished. The San Diego Union had all the details. 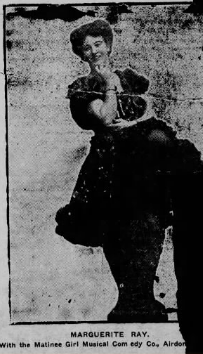 In mid-July 1924, Marjorie Ray was dressing for her part in The Suffragettes at the Colonial Theatre when she pricked herself in the leg with a safety pin. It was minor pain, nothing serious. She forgot about the mishap. There was a show to do and the show went on. That Saturday night, Marjorie was not feeling like herself. She complained of a sore throat and stiff neck. She brushed off suggestions that she hand her part to an understudy for the day. The trooper made it through the performance and gave the last bow of her career — and her life. Marjorie took to her bed at the Ford Hotel hopeful that the strange sensation would pass. It didn’t. In fact, the grip overtook her, locked her jaws. Her Sunday performance was impossible. Dr. Mott H. Arnold was summoned. He examined the actress and found the infected spot where the pin had pierced her skin. She was taken to the McCullough sanitarium for treatment. Her condition had advanced to the point where treatment was useless. She suffered through the night. Around 10:45 the next morning, death brought relief to Marjorie Ray. Those who worked with her described her as an artist devoted to her work. Fritz Fields spoke the truth. Marjorie Ray’s untimely death was tragic, more tragic, in fact, than the public was led to believe. Perhaps Fields or those in her troupe knew or suspected the truth about the actress. Who knew that Marjorie was in the grip of another struggle against a demon that, in those days, was often left unnamed? Who knew that an act of desperation would seal the fate of a young woman who had struggled make a name for herself on the stage and screen? Marjorie was born in July of 1890 in Kansas City, Missouri. She was one of eight children born to George and Marie Ray. They called her Maggie. Little is known about Maggie’s early life. Professionally, Maggie’s career began when comedian Dan Russell brought his show, The Matinee Girl, a musical comedy, to Kansas City. In no time, Dan, 15 years her senior, found a place in his show for the teenager. 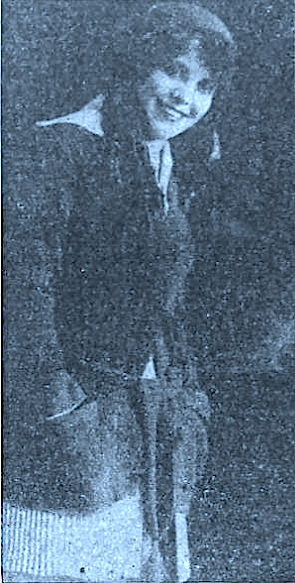 The actor, whose real name was Herbert Charles Dunn, also made room for the teenager in his bed. Somewhere along the way, while making her a featured act in his show, Dan made Maggie a mother to be. 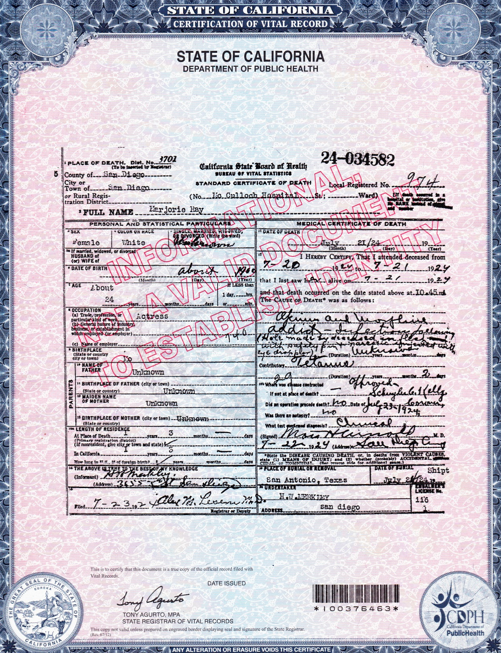 In Corsicana, Texas, in December 1909, Maggie gave birth to James E. Dunn. In time, the troupe moved on. Dan and Maggie got laughter and applause wherever they went. Life on the road, however, was no place for a toddler. Maggie turned her baby over to her mother in Kansas City. In May 1910, little Jimmy lost his life, victim of (according his death certificate) acute bronchitis, gastroenteritis, and malnutrition. He was buried in an unmarked grave. For the next decade, Maggie and Dan crisscrossed the country with their show. 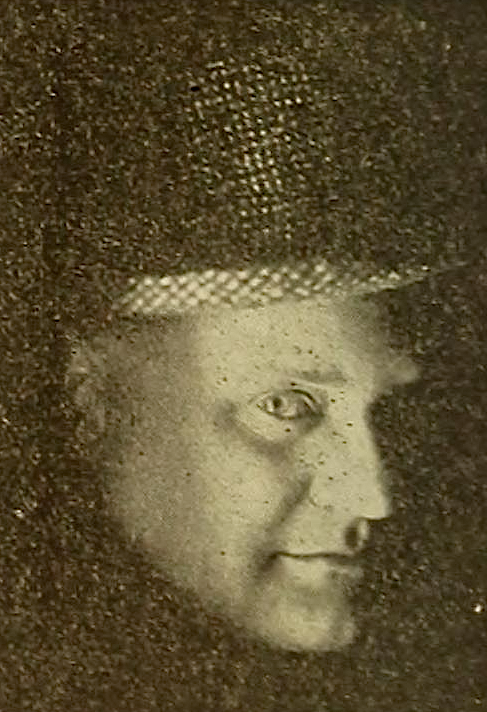 In 1915, Dan broke into the films, two-reel comedies produced by the L-KO Kompany and released by Universal. Two years later, Maggie illuminated the silver sheets. As Marjorie Ray, she was featured in such comedies as Spike’s Bizzy Bike, The Battle of ‘Let’s Go’, and Nellie’s Nifty Necklace, all released in 1917. Billed as Mrs. Dan Russell, she appeared in Lonesome Hearts, Loose Lions, and Sirens of the Suds. Maggie’s film career was brief. She preferred footlights to Kliegs. Bill and Maggie continued their road show into the early 1920s. The duo eventually parted ways. Maggie, according to reports, ended up performing in theaters in Mexico City. 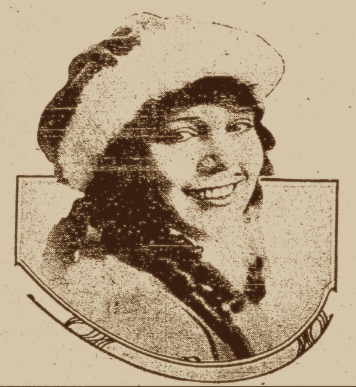 She landed in San Diego in early 1923 and found work at the Colonial Theatre. She delighted audiences and soon became a featured performer. “Thousands of San Diegans have laughed at the girl who sacrificed the desire to appear beautiful on the stage to don the grotesque costumes her parts demanded,” the Union reported. The actress who had appeared on stage since her teenage years often wore herself into a frazzle. Everything changed for Maggie the day she became infected with tetanus. In truth, Maggie had not needed to fix her costume the night she pricked herself with a rusty safety pin. What she needed was a fix! Marjorie Ray, a morphine and opium addict, needed a syringe. With none available, a desperate Marjorie gouged the pin deep into her skin. Then, using an eye dropper, she attempted to inject the narcotics into her bloodstream. Her fate was sealed in that one frantic moment. Between 350 and 400 mourners crowded into Merkley’s Funeral Home to pay respects to the actress who had just performed onstage the previous Saturday evening. More than 50 floral arrangements banked the room and covered the coffin where Maggie lay, clad in her favorite stage gown. Her untimely death touched many. One woman, bent over by years and wearing a faded dress, brought a handful of asters. A girl not more than six years old placed a tiny bouquet of pansies on the coffin. Those who knew her best knew very little about Maggie’s personal life. They were able to locate a sister, Florence, in Texas. The wife and mother of actor Fritz Fields accompanied Maggie on the long journey to San Antonio, where the actress was laid to rest. Her final tour, her last curtain call.